Grape production technology and procedures in wine making and processing significantly affect biochemical composition and organoleptic properties of wine. However, the effects of different oenological procedures on the biological activity of wine are poorly investigated. 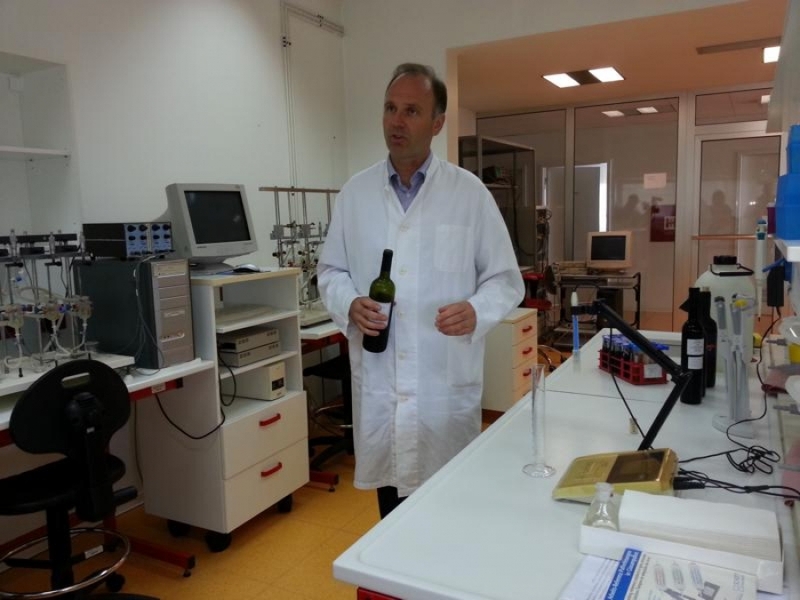 The overall aim of this project, which represents an interdisciplinary research effort of experts from fields of biotechnology and biomedicine, is to investigate how different oenological procedures in wine making (changes of maceration time, partial/complete dealcoholisation, aging of wine) may affect its biological activity. This also includes the investigation of potential differences in distinctive biological effects between wines obtained by the technology of white and red wine production. In contrast to the process of red wine production, there is no maceration in contact with grape seeds and skins in the white wine production, and only fermentation of immediately separated grape juice occurs. So, the biological potential of white wines may differ considerably from that of red wines. Conversely, if even short maceration is allowed in the process of white wine making, the polyphenolic content and antioxidant potential of such wines is significantly enhanced. There are several studies demonstrating superior effects of red versus white wine on certain cardiovascular parameters. However, epidemiological evidence demonstrating specific benefits of red over white wine is poor and conclusive studies comparing the two are missing. Detailed biochemical analysis of all test wines will be performed and their biochemical properties will be correlated with their biological activity. Among numerous biological effects of wine and its constituents, this project focuses on cardiovascular, anti-oxidative, anti-inflammatory and antibacterial effects of wine that will be examined on a spectrum of in vitro and in vivo biological systems including small animals and human volunteers.